From a young age, I remember being drawn to the orange oval. Corduroy, Strega Nona, and The Tale of Peter Rabbit were all members of my childhood bookshelf. The patterned bindings and signature mascot always paired with my enthusiasm for reading at a young age. Years later, when I decided to pursue publishing as a career path, the Penguin logo flashed before my eyes once more. I wanted to be a Penguin. Jump forward two years, and I am standing outside of a large rectangular building in downtown Manhattan. It’s the day of my interview with Avery Publicity, an imprint of Penguin Random House, and my hands are nervously clutching my portfolio binder. I had been awarded the opportunity to be considered for a Penguin internship position through Sigma Tau Delta, who had recognized my passion for literature and persistence in pursuing my dreams. But what if the Penguin employers couldn’t see that? What if passion and persistence weren’t enough? As I entered the building and passed the “No Business Like No Business!” sign mantled to the wall overhead, I summoned the confidence of Strega Nona to overcome any situation. But no amount of spaghetti was going to help me here. “We would like to formally offer you the intern position,” I heard over the other end of the receiver a few days later. Tears formed in the corners of my eyes as I shakily responded my acceptance. 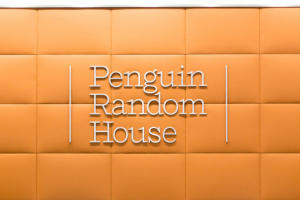 I would be an employee of Penguin Random House. It was surreal! My real journey began on my first official day at Penguin. After an informational orientation and a motivational speech to myself in the bathroom, I was able to meet the team I would be working with for the next three months. Everyone was extremely welcoming and friendly! The office was in a frenzy as people were moving offices and cubicles due to Avery’s merge with the TarcherPerigee imprint. By the end of the move, only the free bookshelf had remained stagnant; right next to my desk! As I’m sure you can assume, I quickly assimilated into the chaos, and the experience bloomed from there. 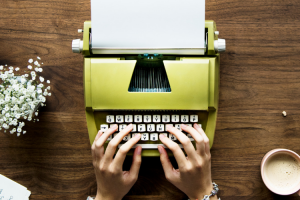 I was introduced to both marketing and publicity tasks, which included writing pitches for books and conducting outreach to famous celebrities such as Alec Baldwin, Avril Lavigne, Yolanda Hadid, and the Olsen twins. I also helped find radio and podcast shows for authors to promote their works on. One of my favorite assignments at Penguin consisted of researching and contacting different talk-shows for Tyra Banks, whose new book Perfect Is Boring came out this April. The book is a memoir that Tyra wrote with her mom, and was one of the bigger undertakings for Avery TarcherPerigee during my time there. Between press talks, book readings, and social media marketing, I rarely went a day without hearing Tyra’s name. 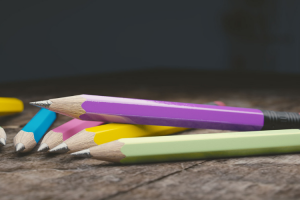 Experiencing the behind-the-scenes details of a celebrity’s life was definitely an aspect of my internship that I was not expecting to encounter, but significantly impacted my understanding of what it takes to work in the publishing industry. As a health and wellness imprint, Avery TarcherPerigee publishes primarily mental self-help books, cookbooks, and motivational memoirs. Two years ago in 2016, Avery published The Book of Joy by His Holiness Dalai Lama and Archbishop Desmond Tutu. The book became a national bestseller overnight and continues to fly off the shelves two years later. It is a publication that Avery is extremely proud of, and I am proud to say that I worked with such a hardworking group of individuals to keep that enthusiasm for reading alive. While work is of the utmost priority, the people at Penguin also know how to have fun! 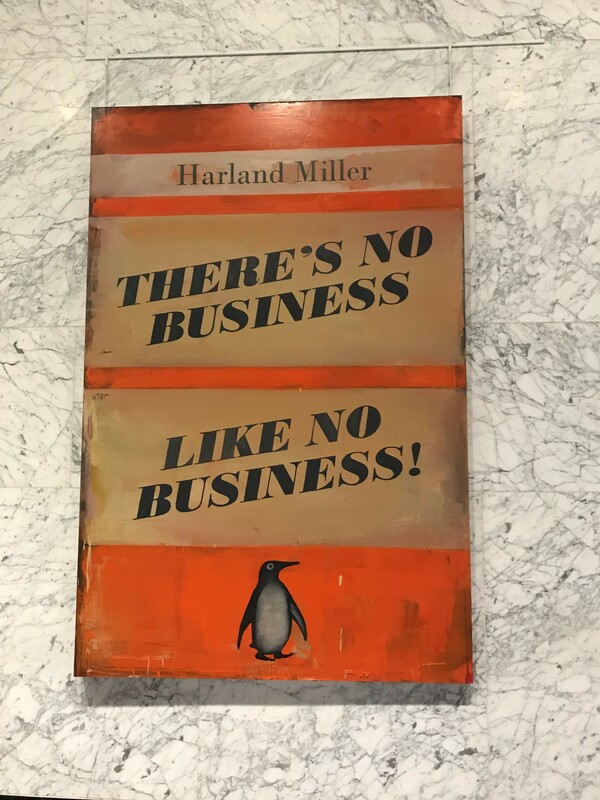 One of my favorite days in the office was “Free Book Tour” day, where a colleague took me and a few others around the entire building scoping out the different free bookshelves. From children’s books to fictional tales, to nonfiction help books and general gems that people find in the back of their closets, Penguin had them all. Needless to say, I ended up hauling a large bag of books through the city that evening. But it was worth the shoulder-ache! 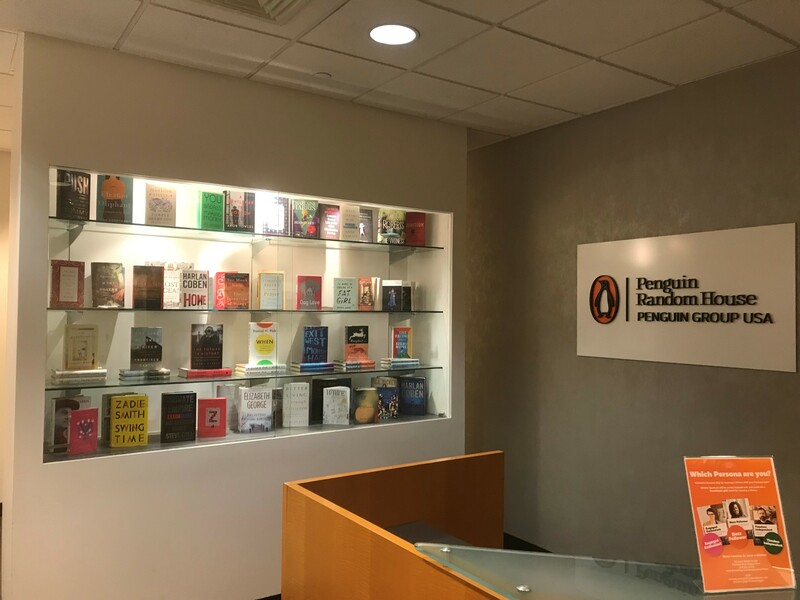 Penguin Random House treats its interns very well. During the course of the ten weeks, the Human Resources department set up a meet-and-greet for all of the interns to come together and get to know one another over cupcakes and games. This was an exciting and extremely helpful experience. I met people from all over the country who attended different universities, pursued different areas of study, and interned for different Penguin departments. 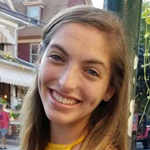 Getting to know other people and learn about their internship experiences allowed me to go beyond my own exposure to learn more about the different sectors of the publishing world. Learning to navigate the city was also an interesting part of my internship. 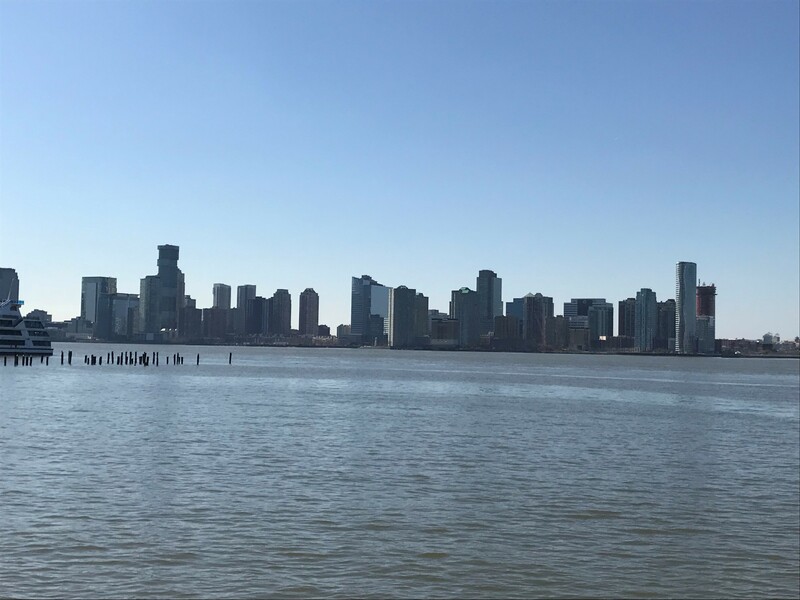 Being a Jersey girl, I had been to the city many times during the holidays and to see Broadway shows, but I could never figure out how to find my way on my own. Not only did I learn the subway system like the back of my hand during those ten weeks, but I also became an expert at pushing through crowds! I was able to memorize Penn Station for all its chaos and even made it down to the Hudson River pier during lunch hours. It just goes to show that anyone can find their way in a city as big as New York! The internship will run ten consecutive weeks in New York City (NYC), June 3 – August 9. The recipient will work 28 hours per week, earning $15.00 per hour. Sigma Tau Delta will provide the recipient an additional $1,500 stipend to assist with expenses. Preliminary screening will be made by a Sigma Tau Delta panel of judges, and our top five applications will be forwarded to Penguin Random House to be included in their final round of selections. You will be notified March 1, by means of the email address associated with your account, whether or not you are among the five finalists.